Shankar’s direction is phenomenal. He has given the film a grand scale and has made it in a way that people will be blown off their minds with the computer graphics and visual effects, both of which are of international standards. On the whole, 2.0 (dubbed) is a surefire hit and will keep everyone associated with the film as also the audience very happy. It can easily touch the 100-crore mark in the first weekend itself. 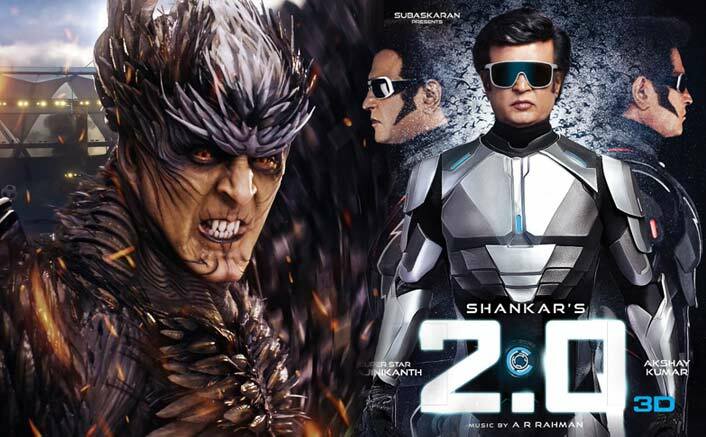 2.0 is dull as ditchwater in the first half, perking up a little in the second, with a half-way watchable Akshay, and a Rajini coming into his own right towards the end, for a bit. There are some oh-wow moments, but on the whole, the film is not worth all the sound and fury.Will there be a 3.0? Give that a thought while I deposit my 3D glasses by the door. There are tons of special effects in Director Shankar’s undoubtedly inferior sequel to Enthiran/Robot — the 2010 sci-fi masala that explored the daredevilry and dangers of man-machine interaction to entertaining results. Except they are so overwhelmingly shoddy, 2.0 ends up looking like a downgraded, cost-cut version of a promising idea. 2.0’s cursory ticking of the downsides in clumsy common man conversations and confusion over ‘all life forms matter’ in an absurd, tiresome climax ensure it remains hidden. So, is the most expensive Indian film ever mounted worth all the money that has been sunk into it? It looks and sounds great for most parts. It whizzes by thanks to the breathless action and the dazzling VFX. 2.0, however, would have been a greater film had the screenplay dared to go beyond the known tricks of the genre. The film, however, falls into the trap of a screenplay that has been tried and tested multiple times and that happens to be the biggest drawback of 2.0. If the presentation of the story was done in a tighter manner, it could have worked better for a certain section of the audience. On the whole, without giving up on Superstar’s swag, Akshay’s performance and his love for spectacularly grand scenes, Shankar presents us with a product that cannot be sidelined. With contemporary touches and technological infusions, 2.0 is a brand that could stand tough against the biggest of Hollywood franchises.